This is a dressing that you can add to your salad without guilt.You will know everything that will go in your body. In a blender,pulse garlic with scallions. add the rest of ingredients and pulse until well combined. Serve on a salad or use as a dip for veggies. thanks for d yummy dressing recipe..will try it..i'm in desperate need of dressings can u tell me if mayo is fattening even if its made in olive oil?? I just have to give this a try. Thanks for sharing. yeah give it a try,its really good.You're welcome, I love sharing. 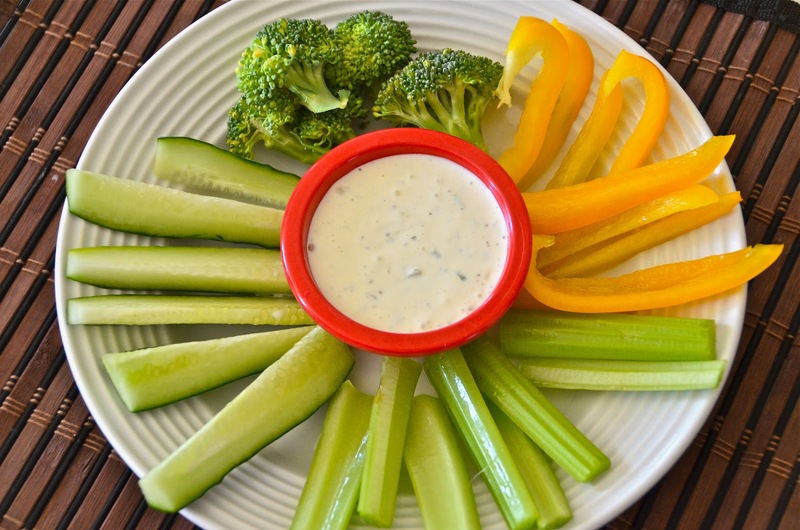 Ranch is probably hands down my favorite dressing ever =) I totally want this dip and veggies now!!! delish! Thank you Jenn,Yes ranch is the best!